TickSmith’s Big Data management platform, TickVault, was recently implemented for use by National Bank of Canada. Based on Hadoop technology, TickVault accumulates and rebuilds all Canadian stock trading activity and is used for post-trade analysis and back testing. Global Equity Derivatives Group (GED) at National Bank is a leader in market-making of exchange-traded securities such as stocks, Exchange Traded Funds, futures and options. In addition to its traditional trading activity, GED is active in: program trading; creation and distribution of structured investment products; custom hedging solutions; and the development, structuring, sales, research and market-making of Canadian ETFs. “Accumulating and working with growing scales financial data, particularly trade and quote history, was proving problematic for our Global Equities Derivative Group. Traditional technologies and relational databases could not keep up,” said Pascal Bergeron, Director of Algorithmic Trading. TickVault is an end-to-end platform that includes ETLs, business logic and analytics, workflow, process monitoring and data delivery. Trading groups typically use it to centralize terabytes and petabytes of data received from quote feeds, trading systems, event feeds and more. The platform provides easily access to data, analytics, time-series and reports via point-and-click interfaces and APIs. 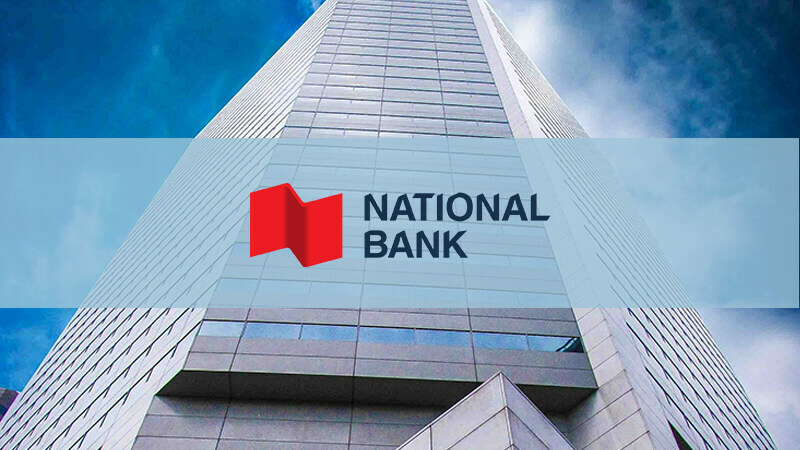 With $219 billion in assets as at January 31, 2016, National Bank of Canada, together with its subsidiaries, forms one of Canada’s leading integrated financial groups. The Bank has close to 20,000 employees and is widely recognized as a top employer. The Bank’s securities are listed on the Toronto Stock Exchange (TSX: NA). Follow the Bank’s activities at nbc.ca or via social media such as Facebook, LinkedIn and Twitter. TickSmith, with its TickVault platform based on Hadoop technology, is a leader in Big Data applications for the brokerage ecosystem and financial services. TickVault is used for data centralization and distribution, market surveillance, strategy discovery and analytics. It is ideal for trading and risk groups, regulators, exchanges and data vendors who need to accumulate, transform, analyze and disseminate larger scales of financial data from multiple sources.